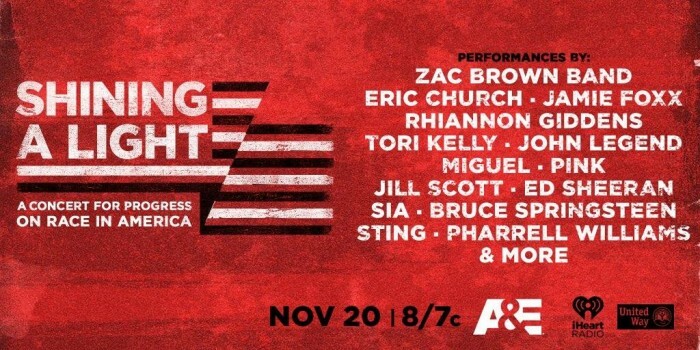 Bruce will perform at Shining A Light: A Concert for Progress on Race in America on November 20th at 8pm ET on A&E and iHeartRadio along with some of the biggest names in music. Tune in and join the conversation. Update 11/21/15: Watch the complete concert here including a duet of "American Skin (41 Shots)" with John Legend here.